While large banks are generally more prepared for compliance with the Servicemembers Civil Relief Act than smaller businesses and individuals, they still sometimes find themselves on the wrong side of this strictly enforced law, leading to fines and other penalties. The Bank of New York Mellon is being sued in a putative class action lawsuit in Pennsylvania federal court for an alleged SCRA violation by foreclosing on the homes of active duty members of the uniformed services, according to Law360. The case is being brought by U.S. Army Reserve sergeant Amanda Wensel, who is accusing the bank of illegally seizing her home and personal property while she was on active duty between 2011 and 2013. The complaint justifies the class action by arguing that the bank, which served as a trustee for thousands of mortgage-backed securities created by a company called Countrywide Home Loans Inc. before being bought by Bank of America, potentially violated the rights of hundreds of other servicemembers by foreclosing on their properties. Under the statutes of the Servicemembers Civil Relief Act, it is unlawful to foreclose upon, seize or sell a property during or within 12 months after the owner’s period of active duty service without a court order. Under certain circumstances a servicemember may way waive this right, but such situations are rare. 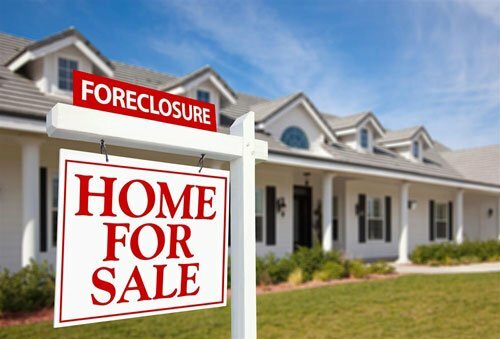 Banks that wish to foreclose upon, sell or seize a property during or within one year after a servicemember’s period of active duty must begin by filing an action in court. Among other things, the creditor must obtain an affidavit as to military service, something that the Servicemembers Civil Relief Act Centralized Verification Service can help with, and present it to the court. The court will attempt to contact the servicemember in question, who may choose to apply for a mandatory stay of proceedings “as justice and equity require”. If he or she does not, the court may still upon its own motion decide to enforce a stay of proceedings when the servicemember’s ability to comply with the obligation is materially affected by his or her military service. A failure to comply with the Servicemembers Civil Relief Act is punishable by fine under title 18 of the United States Code, imprisonment for up to one year or both. Wensel took out a loan for $64,500 in 2007 from the CIT Group/Consumer Finance Inc. to put a down payment on a home in Clarksburg, Pennsylvania, according to Law360. This loan was packaged with other subprime loans and assigned to an entity controlled by Countrywide with Bank of New York Mellon acting as the trustee. When Wensel allegedly defaulted on her mortgage payments in 2008 – while she was living and working in Pennsylvania – the bank commenced foreclosure actions. A default judgment of almost $85,000 was entered against Wensel and her property was scheduled to be sold in mid-2010, the news source reported. This was postponed for one and a half years, however, and the home wasn’t sold until early in 2012 – after Wensel had been called to Afghanistan on active duty. Aurelius Robleto of Robleto Law PLLC, Wensel’s attorney, told the news source that he advised his client to pursue a class action lawsuit after she described conversations with other active duty servicemembers who had their homes foreclosed upon in similar circumstances. He explained that he is still determining the size of the class based upon estimates of foreclosed upon properties that may have been owned by servicemembers and upon the value of the assets held in the defendant’s securitized loan pool. This case, perhaps more than others, should be seen as a clear indication of the importance of due diligence with regard to the Servicemembers Civil Relief Act. As is clearly visible in the above case, in which the plaintiff’s home would have been foreclosed upon long before her entrance into active duty status had the proceedings not been delayed, it is not always the spirit of the law that is enforced, but frequently the letter. The Servicemembers Civil Relief Act Centralized Verification Service can help clients to perform the military records search that is necessary to avoid complications that lead to liability under the SCRA.